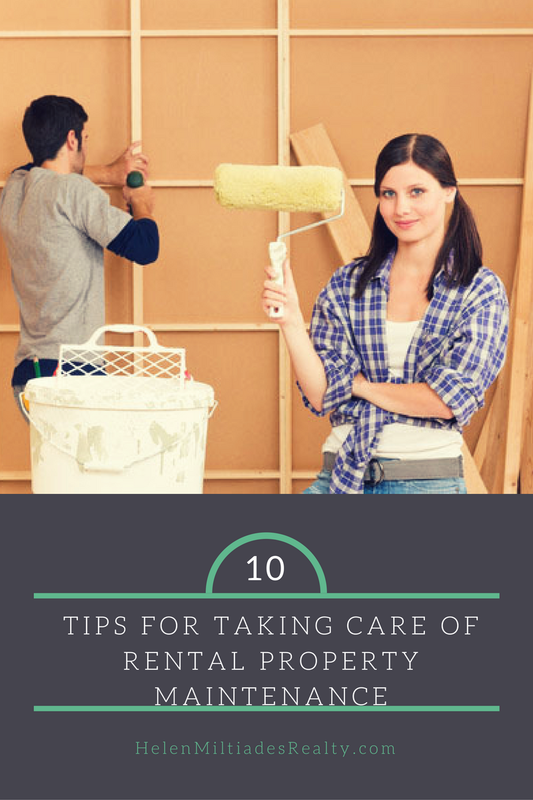 Owning a rental property comes with the task of making sure your property is in top shape. This is one of the biggest tasks of investment in residential properties, as a landlord, you are responsible for keeping your properties safe and in good condition according to code in the area that the property is in. The best maintenance plans begin with the rental agreement. Spell out the responsibilities of care for the property as thoroughly as possible. Communicate in simple terms what duties the tenant is responsible for performing to take care of the property and what maintenance you will provide as the landlord before the tenant is permitted to move in. Generally, a tenant is expected to care for day to day upkeep such as yard work, trash, daily chores/general cleaning, changing light bulb and the like. Landlords are responsible for larger maintenance and upkeep of the property like structural damage not caused by tenant, plumbing, heating , electrical, etc. Another good thing to communicate on paper is an emergency procedure. Which phone number a tenant can call for any repairs that need immediate attention and a general timeline of what they can expect to have things done. It is always good to keep open communication with your tenant even if it is just to tell then you are working on resolving the issue and you will give them more information as soon as you know it. If you give a phone number to call, answer the phone and respond to messages promptly. Open communication not only benefits your tenant it helps keep the relationship between renter and landlord healthy and encourages them to report needed repairs promptly and that helps keep the property in its best shape. Take several photos or a video of your rental before the tenant moves in. Use a move-in/move out checklist to help you remember each task that should be done to get the property ready for occupation. Note dates of when things are performed. These things will help to protect you in damage disputes should there be any. Include the expected condition of the property upon move out to receive the deposit back as part of the rental agreement. Clearly state things that will be deducted from deposit money should they occur. Keep the flower beds and landscape of the property simple. Even if you have a tenant that loves yard work it is just easy on you and them to keep plants and shrubs in the yard that are not high maintenance. Visit the property every few months to check on the state of the home and things that should be cleaned or worked on every so often to keep them in optimal running condition. The more preventative maintenance that is performed the better chance you have of keeping large emergency repairs at bay. Every item in a home has a lifespan. Planning around this and doing whatever you can to keep things in top condition and to get the most life out of each item as possible could save you a good chunk of cash. Is is also a good idea to include a reporting clause in the rental agreement that states a renter must notify you of any needed repairs in a timely manner before they become larger issues or face a fine. If you have more than one property it is a good idea to use the same interior paint, flooring, appliances, hardware etc. in all of your properties to save time and money. Using the fixtures and finishes in all properties also cuts down on the amount of extra supplies you have on hand or time tracking down more material for repairs. As a landlord you are a business owner and certain purchases allow you tax deductions as business expenses. Keep every receipt for repair materials and document time spent on repairs. Make sure to work closely with a tax professional to determine exactly what is a write off. Before you open up the property to a new renter make sure it looks like they are the first person to ever move in. Think of what you would want a home to look like when you move in. Every new tenant should get to walk into a freshly painted and deeply cleaned home. Don’t forget to change the locks for safety measures. Even if you have the most responsible of tenants, people forget to replace smoke detector batteries or turn on the fan during a shower and other similar things. As an added measure of preventive maintenance install programmable thermostats ( maybe with a lockbox depending on the situation), bathroom fans that turn on and off automatically, motion lights outdoors, and fixtures with long battery lives. They may cost more money up front but just might end up saving some serious money later. Some landlords like to be hands off and hire a rental manager while others like to be as hands on as possible and do most things on their own. Both are great strategies ,but if you choose the latter make sure you know when to not do it on your own and when to call in the help of a professional. Some states even require that some repair and maintenance be performed by a professional. Life is unpredictable and large problems can occur even with the most meticulous landlord and best tenant. Sometimes things happen out of our control like leaks, floods, fire, etc. There will be a time that you may need to replace a very expensive item or piece of the home. For these freak accidents you will want to have the money to be able to pay for repairs and replacements in a timely manor to save you from paying even more. Property maintenance can take a good amount of your time as a landlord, but with a plan in place it can be much more easy to perform and save money as well. If you want to take a little bit of the responsibility off your plate or nearly all of it hiring a great property manager can be a real asset. For more information on rental property management in Savannah please feel free to browse our blog and website or contact me anytime.